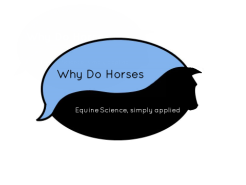 ​Louise Napthine is an Equine Behaviour Coach. She has over 20 years experience with horses, supported by a strong theoretical foundation. Qualified to Postgraduate level, Louise has a Bachelors Degree in Equine Studies and a Masters in Equine Health and Welfare. Louise uses in-hand and under saddle training techniques, with coaching practices that are based on current evidence regarding horse behaviour and learning. She adopts the 'Equitation Science Training Principles' which promote optimal welfare of horses in training. As a member of the International Society for Equitation Science, Louise focuses on applying equine behaviour science in everyday horse training and management. Louise is also a Supporting Member of the International Association of Animal Behaviour Consultants and is committed to their Least Invasive, Minimally Aversive approach to training. Louise is a BHS Accredited Professional Coach. She has worked in the equine industry, at British Dressage and Poney Club de l'Okapi, France. As an Equine Scientist, she continually seeks opportunities to improve her abilities as both a Scientist and an Equestrian. Currently working in Science Education, Louise runs the laboratories at a Land-based Specialist College. She is a Professional Biologist and full member of the Royal Society of Biology. ​Louise is a regular contributor for equestrian magazine Everything Horse, communicating current research on behaviour and welfare. Her articles have also featured in Equestrian Life and HorseMart. She has associate membership of the Association of British Science Writers. Louise is a keen supporter of TREC. She initially developed a passion for TREC whilst working in France, having had the opportunity to compete across the beautiful Rhône-Alpes region. As a TREC Judge, Louise has judged at National and International Level, both in the UK and abroad. Louise has developed a well-rounded experience in TREC, having also organised Winter Series Indoor TREC competitions. A former volunteer for the British Horse Society, Louise served 5 years as County Communications Officer for BHS Nottinghamshire, before moving to Berkshire. Louise has also volunteered for Riding for the Disabled.